Techniques that separate and arranges according to size, ferrous wear particles from a lubricant for analysis with a microscope. The fire point, a higher temperature, is defined as the temperature at which the vapor continues to burn after being ignited. The cloud point defines the temperature at which wax crystals appear in the fuel upon cooling. Acid number (TAN)Acid number test measures the acidity of a lubricant. Acid number is expressed by potassium hydroxide in mg required to neutralize free fatty acid in 1g of oil. Neutralization ValueNeutralization value is the Value that expresses the weight in milligrams of an alkali needed to neutralize the acidic material in one gram of oil. The neutralization number of oil is an indication of its acidity. Sulphur test helps in determining sulfur content in samples of carbon black feedstock oils. Values obtained represent the total sulfur content. 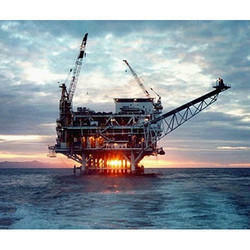 Water & Sediments Water & sediments test is the volumetric percent of water and sediment in middle distillate fuels. Water and sediment in a fuel oil can cause fouling of the fuel-handling facilities, obstruct fuel flow and cause internal corrosion. Wear Metals - Ca, Mg, Na, K, Mo, Cu, Cr, Zn, P, Ba, B, Al, Pb, Mn, Ni, Si, V, Sn, Ag, Fe etc. Wear metals test helps in determining the expensive damage and downtime to high value engines, gears, generators, turbines and other important equipment. Sigma is an ISO 9001:2008 certified testing laboratory providing diesel fuel monitoring, testing and analysis in a cost-effective manner to analyze your diesel fuel’s sulfur content, purity, calorific value, biodiesel content and compliance with manufacturer specifications and standards for cleanliness as per the mandatory regulations. 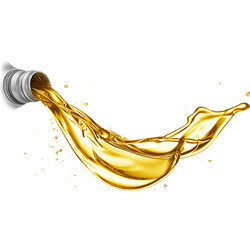 Viscosity is one of the most important properties of a lubricant as it determines both the film thickness of the oil and how readily the lubricant will flow into the narrow area separating the moving metal parts. Viscosity is a measure of the resistance of a fluid which is being deformed by either shear stress or tensile stress. The flash point is an indication of how easy a chemical may burn. Materials with higher flash points are less flammable or hazardous than chemicals with lower flash points. The flash point of a volatile liquid is the lowest temperature at which it can vaporize to form an ignitable mixture in air. Measuring a liquid's flash point requires an ignition source. At the flash point, the vapor may cease to burn when the source of ignition is removed. The fire point, a higher temperature, is defined as the temperature at which the vapor continues to burn after being ignited. Neither the flash point nor the fire point is related to the temperature of the ignition source or of the burning liquid, which are much higher. The pour point is the lowest temperature at which a fuel can be handled without excessive amounts of wax crystals forming out of solution. If a fuel is below the pour point, wax will begin to separate out and this will block filters. Conardson carbon residue is the amount of carbon residue left after evaporation of an oil and to indicate relative coke-forming propensities. This test method is generally applicable to relatively nonvolatile petroleum products which partially decompose on distillation at atmospheric pressure. Water & sediments test is the volumetric percent of water and sediment in middle distillate fuels. Water and sediment in a fuel oil can cause fouling of the fuel-handling facilities, obstruct fuel flow and cause internal corrosion. Acid number test measures the acidity of a lubricant. Acid number is expressed by potassium hydroxide in mg required to neutralize free fatty acid in 1g of oil. Base number measures of the amount of basic substances in the oil always under the conditions of the test. It is sometimes used as a measure of lubricant degradation in service. However, any condemning limit shall be empirically established. ISO 9001:2008 certified Sigma delivers an extensive range of advanced rubber testing services for mechanical testing of rubber, chemical analysis of rubber, performance testing of rubber like hardness, tensile strength, elongation, and rubber material certification of plastic pipes, pvc, film, adhesive tape, resins and much more, enabling your product to meet industry specifications. Bulk density is the weight per unit volume of material. The bulk density (morphology) of the rubber contributes significantly to the binder’s performance and is used as a property in the specification of the rubber. This test method provides a measure of the crumb rubber’s bulk density. 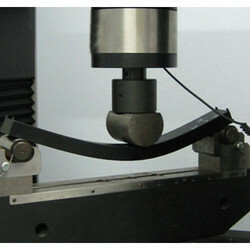 Compression set testing is used to determine the ability of elastomeric materials to maintain elastic properties after prolonged compressive stress. The test measures the somewhat permanent deformation of the specimen after it has been exposed to compressive stress for a set time period. This test is particularly useful for applications in which elastomers would be in a constant pressure/release state. 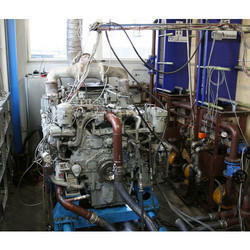 We are offering Dissolved Gas Analysis Of Transformer Oil to our clients. We are offering Furan Analysis Of Transformer Oil to our clients. 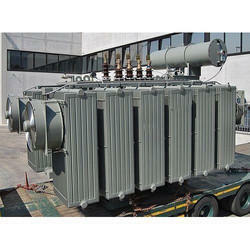 We are offering Dielectric Strength Of Transformer Oil to our clients. We are offering Acidity Test Of Transformer Oil to our clients. We are offering Dga Analysis Of Transformer Oil to our clients. 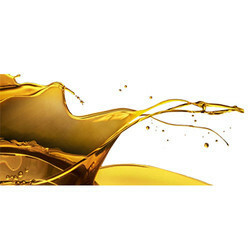 We are offering Dga Test Of Transformer Oil to our clients. We are offering Transformer Oil Analysis to our clients.